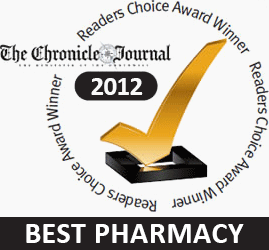 Janzen’s Pharmacy has been helping the Thunder Bay community Live Better for more than a century. Our ongoing commitment to customer service, personalized care and total health makes us unique and extends beyond the walls of our pharmacies, into our clients’ homes and our community. We will continue our efforts to meet your pharmacy needs with exceptional service, by combining quality products with professional expertise and focussing on your total health. At Janzen’s, we strive to always exceed your expectations by giving more than we promise and more than is expected from a pharmacy.